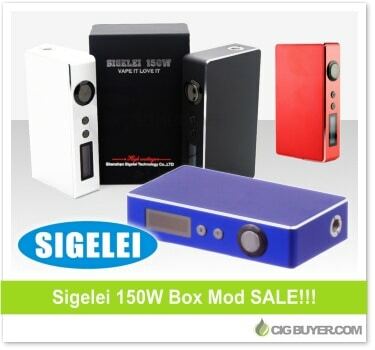 Sigelei specializes in high-powered box mods, and the Sigelei 150W Box Mod is the largest and most powerful of the bunch. It takes dual 18650 batteries and packs up to 150W of output! It features a large OLED screen and firing button, spring loaded 510 contact and a magnetic battery door to make it easy to switch out and recharge batteries. It includes a variety of built-in safety functions (low / high voltage, reverse polarity and short circuit protection) and can fire atomizers as low as 0.1 ohm. * Expiration of Vapor Cube deal is unknown. Good while supplies last.